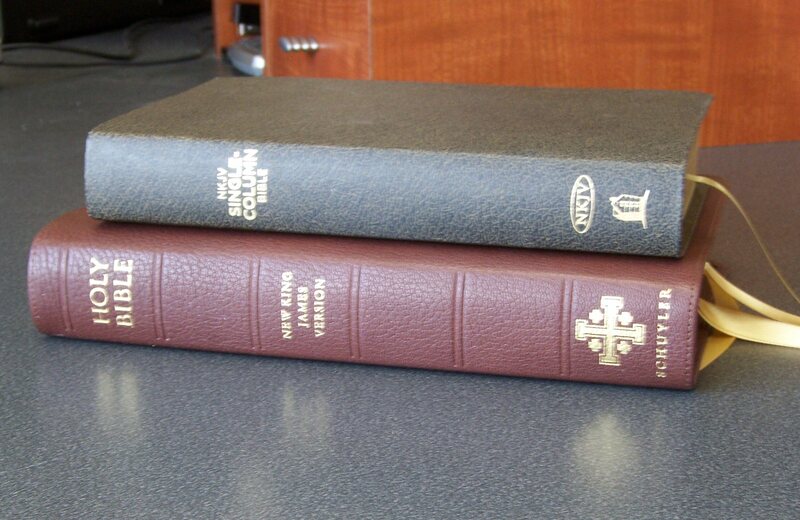 The ESV Reader's Bible (left) comes in a sturdy slipcase. The Heritage Bible comes in Crossway's usual box. The 2012 Legacy proved to be merely the first of several single-column offerings, followed in 2013 by the smaller ESV Heritage Bible, which retained the single-column 9 point text of the Legacy, while reducing the width of the margins and putting the headings that the Legacy's margins contained back into the text. 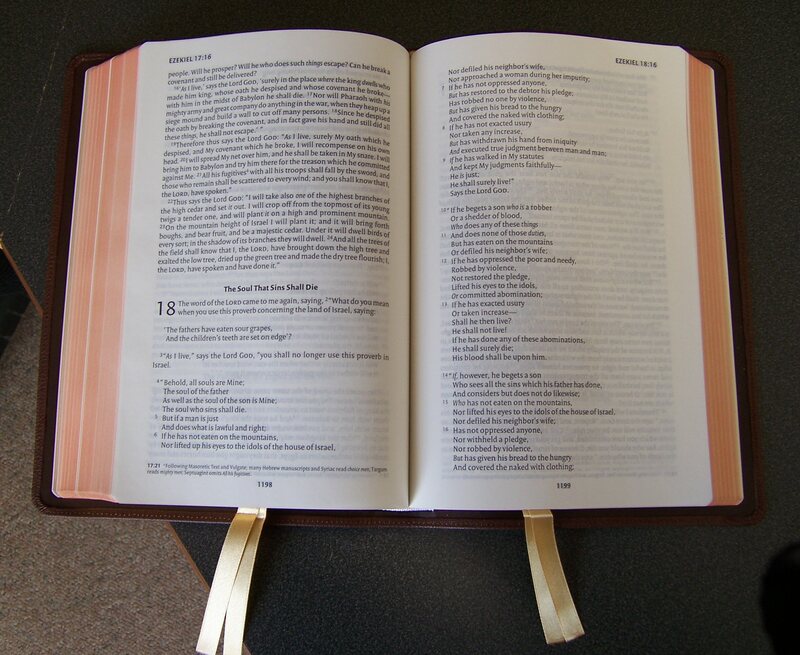 The Reader's Bible comes with two brown ribbon markers; the Heritage has one. The first page of the Gospel according to Luke shows the red book titles, headings, and page numbers of the ESV Reader's Bible. The ESV Heritage (below) is in all black type with headers in the text as well as verse numbers. 2014 saw Crossway's most adventurous offering yet: a Bible optimized for reading by eliminating headings and even verse numbers. Crossway added a touch of color to the ESV Reader's Bible with red book titles, page numbers, and headers. The chapter numbers are also in red but greatly reduced in size, compared with the chapter numbers in the Legacy or Heritage Bibles. The page headers give a verse range, so finding your place isn’t all that hard. But this edition is meant for reading, not looking up individual verses. I bought a copy of the Reader's Bible before I bought a copy of the Heritage. I liked Crossway's innovation of producing a Bible just for reading. But, after I had used it for a while, I actually found myself missing the verse numbers. I am not as bothered by superscript numbers as some readers; and, often, while reading, I like to remember the exact reference of a verse that particularly strikes me. So I bought a clothbound copy of the Heritage, hoping that it might be just like the Reader's Bible, only with verse numbers. In some ways it is; and in others it isn't. The paper appears to be identical in the two Bibles with the same amount of ghosting. 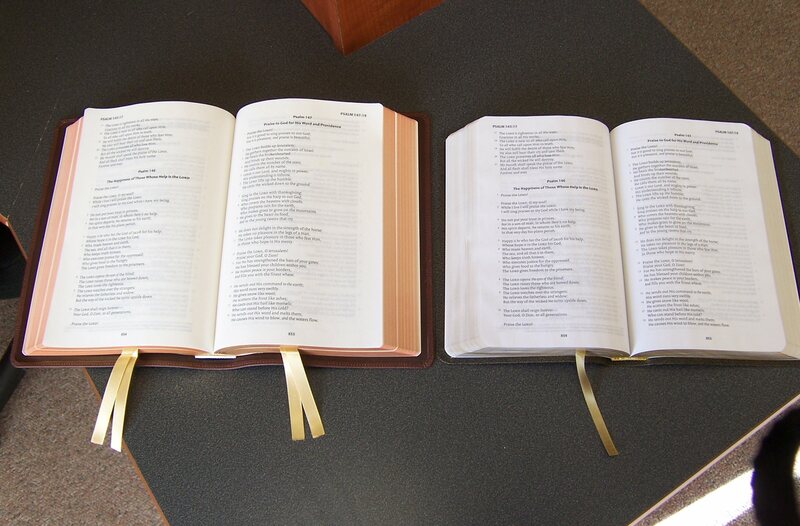 The Heritage Bible (above) and the Reader's Bible (below) are both turned to the same Psalms. You can see the large chapter numbers of the Heritage and the smaller chapter titles and red accents of the Reader's Bible. 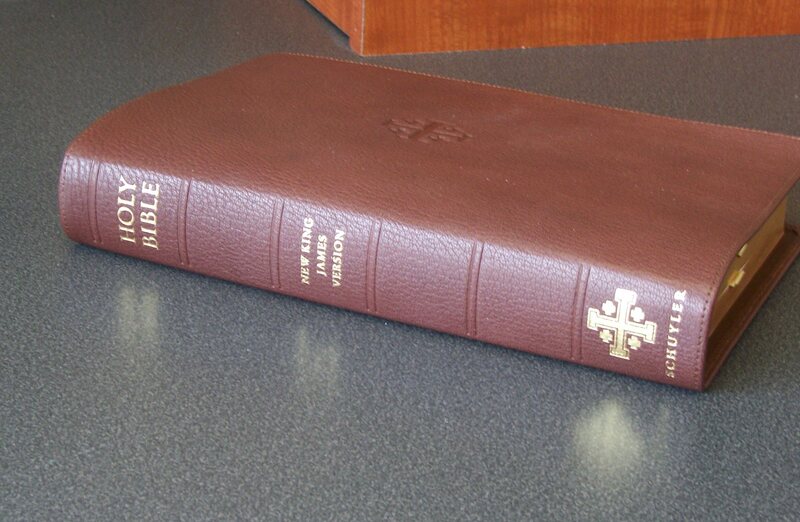 The Reader's Bible is a clothbound hardcover that comes in a slipcase. It is also available in black or brown imitation leather, but I wanted a clothbound copy--I wanted to see if it really duplicated the experience of reading a novel (and how many novels do you see in imitation leather covers?) The single-column text looks elegant with its red accents. Its proportions at 5.5″ x 8″ feel just right in your hand. It really does feel like a novel you could curl up with and just read, read, read. 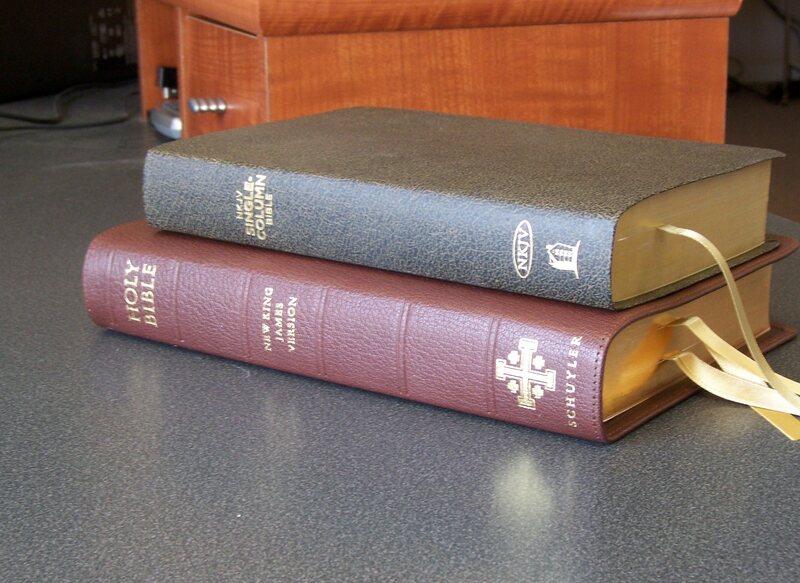 Both Bibles are the same thickness (1.5 inches); but the Heritage is slightly smaller (5.25" x 7.5"). While the difference in size is slight, it is just enough to make the Heritage feel compact. In fact, for my taste, the Heritage feels almost too small. I have the same problem with the Cambridge Clarion, which is virtually the same size as the Heritage. Both the Reader's Bible and the Heritage feature line matching, which improves reading on thin paper where show through is likely. The primary point on which you can choose between them is the presence of verse numbers. Both the Reader's Bible (left) and the Heritage Bible are a pleasure to read. Your choice may come down to whether or not you want verse numbers. 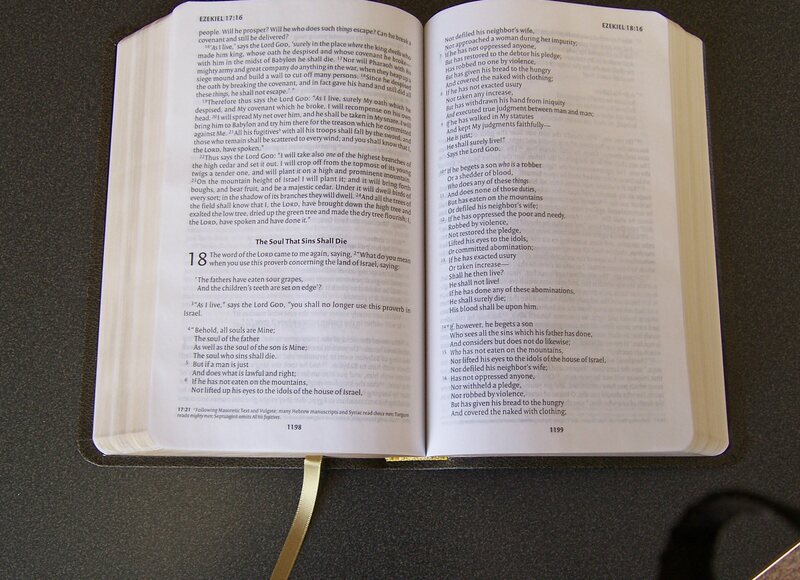 For pure reading pleasure, the Reader's Bible is a natural. Crossway has succeeded marvelously with this edition. For those who want an even (slightly) more compact edition with verse numbers, there is the Heritage. 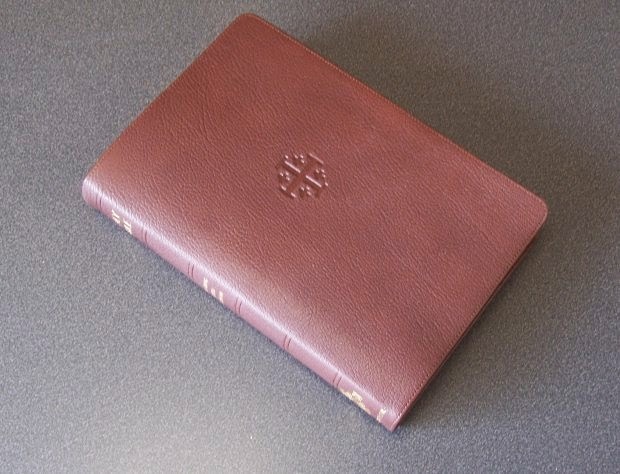 The clothbound ESV Heritage Bible is available from Christianbook.com. 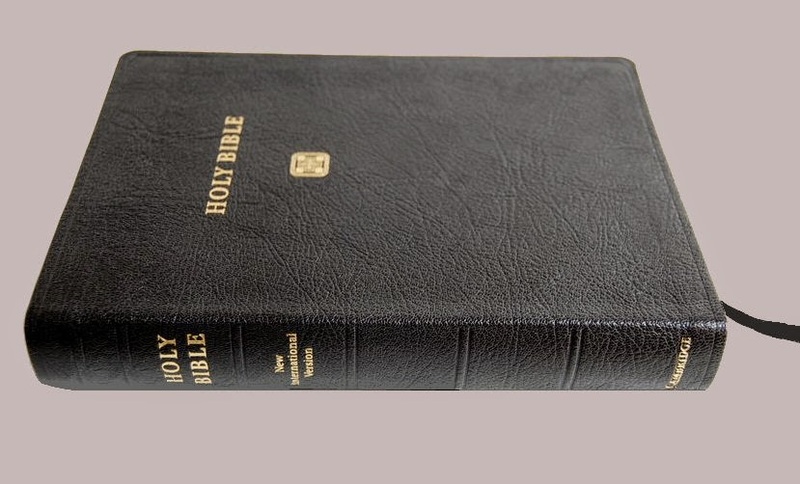 Evangelicalbible.com has the Heritage Bible in a variety of covers, including a very nice calfskin, but not the clothbound version. If you want a copy of the Reader's Bible, you can order it from the Christianbook.com or the Westminster Seminary Bookstore (where I bought mine). Evangelicalbible.com doesn't carry it. The Westminster Bookstore does an exceptional job of protectively packing and shipping their orders.